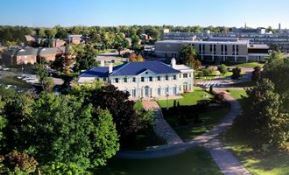 AMHERST, N.Y. – Daemen College Dean Dr. Michael Brogan has announced the students who have achieved Dean’s List status at the college for the fall 2018 semester. A matriculated undergraduate student who attains a grade point average of 3.30 or better in any one semester is eligible for Dean’s List status. The fall 2018 Dean’s list is available on Daemen’s Web site.